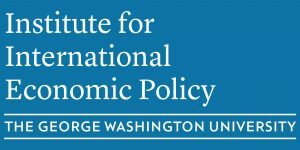 The US – China relationship is now second to none in importance for international economic relations and policy and accordingly is a major focus of IIEP. The centerpiece of this initiative is our annual Conference on China’s Economic Development and U.S.-China Economic Relations (or the “G2 at GW”), which has become one of the premier events of its type. For the last three conferences (2009, 2010, 2011) we created a follow-up online “virtual conference volume”. For information on previous conferences, see our signature initiatives page.